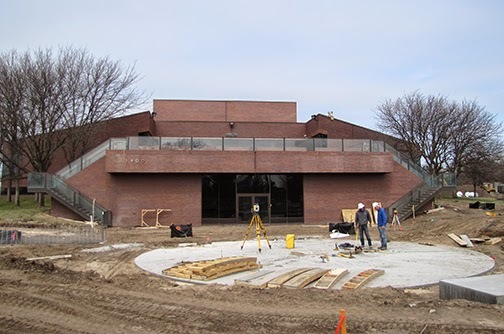 Simpson Construction Services and Beran Concrete crews work on sculpture footings. 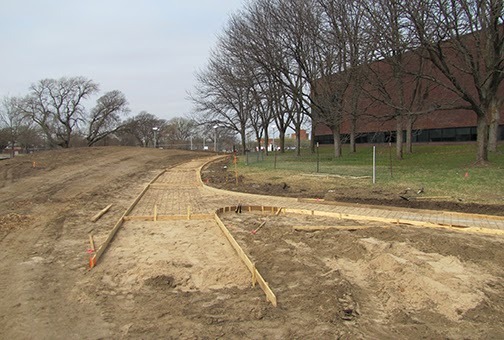 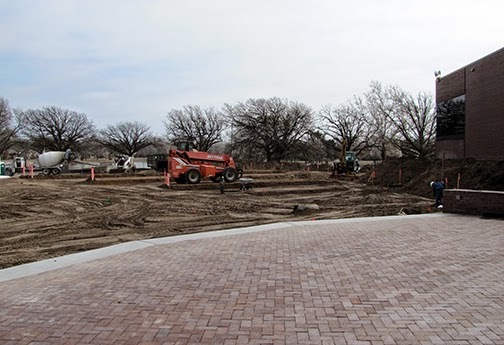 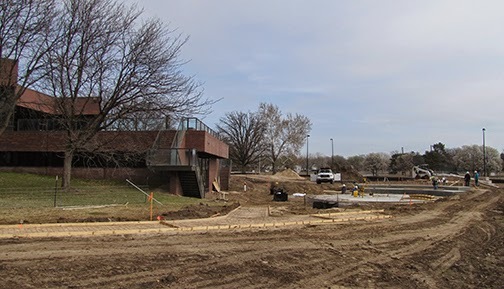 A walkway will stretch along the South side of the Wichita Art Museum. 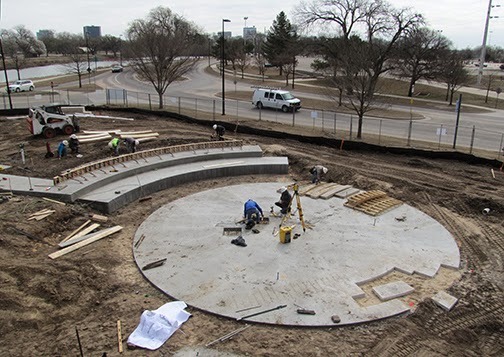 Looking out from the amphitheater stage over terraced seating. 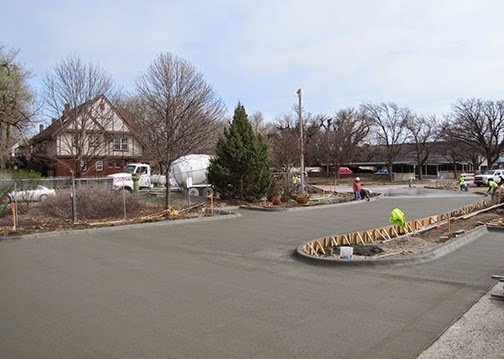 New service drive poured Northwest of the Museum.